Four projects in the South West focusing on cyber security, semiconductors and environmental science will receive up to £50,000 each in government funding to develop key new projects. The University of Bristol is leading on two projects, in collaboration with the University of Bath and Cardiff University. The Cyber Wales and West project will create a new cyber hotspot that will push the boundaries of innovation where academic talent and test-bed platforms will attract leading UK cyber businesses. The Cardiff University-led project will consolidate a rapidly emerging Compound Semiconductor Cluster in South Wales, including a significant provision of training to enhance skills across the region through a compound semiconductor skills academy, and drive new linkages with wider UK industry. Led by University of Exeter, in partnership with Met Office and other organisations the Environmental Intelligence Accelerator builds on the South West’s globally recognised strengths in environmental science and digital innovation; exploiting the power within data to optimise environmentally-related decision making. The Accelerator will drive productivity and clean growth across private and public sector organisations. The My World Creative Cluster in Bristol will provide a new platform for collaborative R&D projects and talent pipelines, with state-of-the-art facilities. 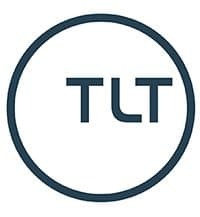 It will seek to address current challenges faced by growing immersive formats of screen entertainment and will focus on the relationships between content creation, delivery and consumption. Dr Sarah Perkins, Director of the GW4 group of the universities of Bristol, Bath, Exeter and Cardiff, said: “We are very pleased that a number of projects involving the GW4 universities have been successful in securing seed funding to further develop their proposals. 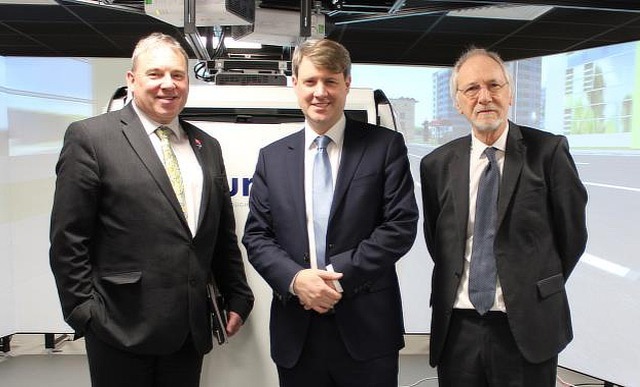 The four projects are among 24 across the UK to be awarded up to £50,000 each in early-stage funding from the UK Research and Innovation’s Strength in Places Fund and were announced by Science Minister Chris Skidmore, who is the MP for Kingswood, on a visit to the Bristol Robotics Lab (BRL). All the projects have until later this year to produce a more substantive bid for funding to see their proposals through to completion. The minister toured the Health Technology Hub, Launch Space Incubator, Future Space Innovation Centre, BRL Robotics Innovation Facility and Hardware Incubator, which are home to over 70 companies specialising in technology, robotics, automation, health technology and biosciences. “At the BRL, we have a track record of successful innovation and enterprise, and enabling dynamic start-ups including Reach Robotics and Open Bionics through our Hardware Incubator, which is unique in the UK,” said Prof Chris Melhuish, director of BRL (above, right).